Roger Thomas is a Barrister specialising in Family (Finance), Business & Property and Personal Injury law. 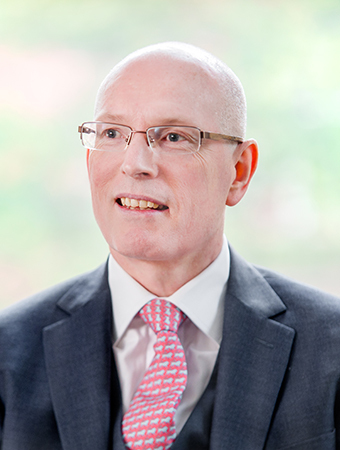 Roger enjoys a thriving family finance practice, representing litigants under the Matrimonial Causes Act 1973, the Civil Partnership Act 2004 and cohabiting couples under the Trusts of Land and Appointment of Trustees Act 1996. For his Business and Property practice, Roger is regularly instructed by both Claimants and Defendants to advise upon a range of matters and he appears in all levels of court to represent his clients’ interests. Having spent more than 20 years in commerce and industry before coming to the Bar, Roger brings to his work a wealth of first-hand experience at the ‘coal face’ which enables him to quickly understand the relevant issues in the case and to communicate with both professional and lay clients in the language of their business. For Personal Injury law, Roger Thomas is regularly instructed by both Claimants and Defendants to advise upon, and appear in, personal injury matters. He has an excellent grasp of injury mechanisms and the medical sequelae.